Our iron is our go-to tool to turn wrinkled and rumpled clothing into pressed and perfect outfits. But figuring out how to clean an iron, that can be the hard part. These simple steps can help turn that scaly stained iron into a useful tool. Read the user manual.Reading your user manual with give you a good idea of how to care for your iron. After reading it, you'll know if your iron requires distilled water, or descales itself. Take a moment and read the manual. 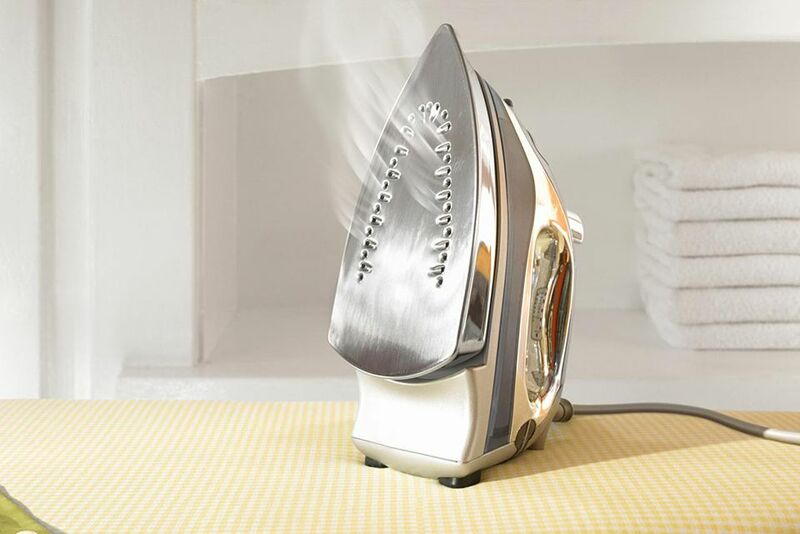 Clean inside of the iron.To clean the inside of a steam iron, you'll need to know if your iron automatically descales water using a replaceable filter. Make sure to replace your filter on the recommended schedule. Other irons may need to be descaled manually. Pouring a mix of one part water and one part vinegar into the water chamber of the iron and steaming it out will work wonders. Repeat a second time with plain water. Clean non-coated sole plates.For non-coated irons, you can use baking soda or even a metal polish cleaner to clean the sole plate. For sole plates that need a little extra help, extra fine steel wool can be used as a last resort. Clean non-stick sole plates.For non-stick coated irons, clean with a soft cloth, warm water, and mild detergent. Always wait until your iron is completely cool and unplugged. Never use an abrasive cleaner. Abrasives will wear away the coating on your iron. If plastic has been melted on your sole plate, it can be removed. Place a piece of aluminum foil on the ironing board and sprinkle it with salt. Ironing over the salt and foil will help loosen the plastic. Never try to scrape the plastic off with metal tools. It may permanently damage the sole plate. If the vent holes of your iron have become clogged with starch or buildup, cleaning them with cotton swabs dipped in a 1 to 1 ratio of water and vinegar can help clean the holes.